Not too long ago, if someone mentioned Georgia to you, it’s likely you thought they were referring to the American state. Over the course of the last couple of years, though, you’re probably become more familiar with the small Eurasian country. By now, Georgia has asserted its status on the world’s cultural radar thanks to its vibrant and rapidly evolving art, fashion, and rave scenes. The throbbing source of this creative energy comes from its capital, Tbilisi, which is truly a city like no other. Set against the hazy backdrop of the Caucasus mountains, Tbilisi sits at the crossroads of East and West, and in its long and storied history, it has accumulated a massive variety of customs, traditions, and cultures, from Europe, Asia, Russia, and beyond. But it’s not all about history. At the moment, a city within a city is being built, brick by metaphorical brick, by a new generation intent on pushing things forward, and creating a creative community made up of artists, musicians, skaters, designers, and models – proving there’s more to Georgia than a certain Balenciaga designer and its turbulent history as part of the Eastern Bloc. Thankfully, a number of these young creatives were willing to share exactly what makes the city so special with Dazed, filling us in on where to eat the best Khachapuri, drink shots of chacha late into the night, and dance to the best music in the wildest underground clubs (spoiler: it helps if you like techno). We’ll start at the beginning: what the city actually looks like, which, given there is no uniformity to Tbilisi, is difficult to define. There are bustling highways that are pretty much impossible to cross, old Georgian villas with quiet square courtyards, and Brutalist concrete blocks that cast shadows over wide expanses underneath them, all within metres of each other. Go-tos, if you’re into that sort of thing, include the iconic Bank of Georgia, and the Wedding Palace. One monumental building that might be oddly familiar is the former Georgian parliament on Rustaveli Avenue. Its usually deserted steps were the site of a rave protest which took place in May last year, and was amplified around the world across social media. Thousands of young Georgians gathered here to protest the violent police raids of the city’s revered rave destinations Bassiani and Cafe Gallery. Clubbing in Tbilisi isn’t just an idle pastime, or an opportunity to get wasted – many of its venues offer an all-inclusive safe space for its LGBTQ+ community, and it’s in the dark corners of the clubs that many creative ideas and relationships are given the opportunity to grow and thrive. To the youth of the city, it was imperative it stayed that way. 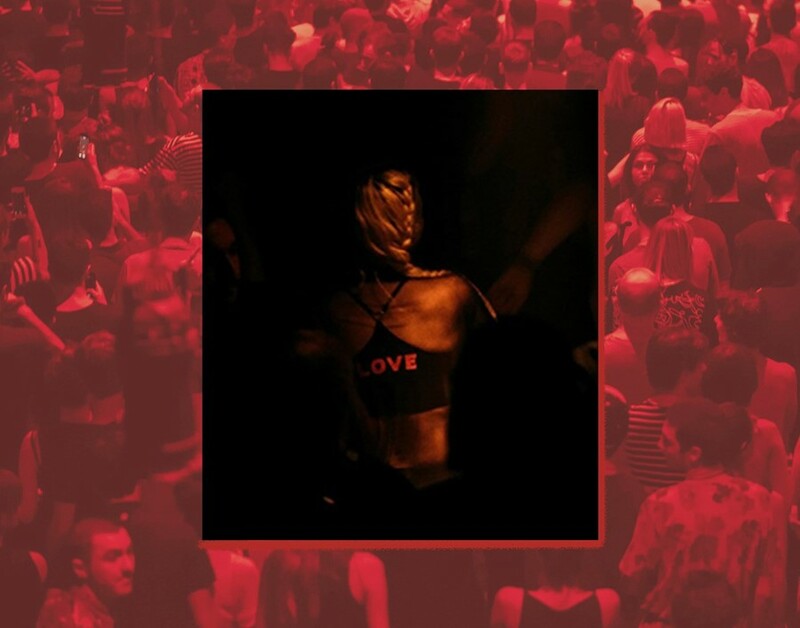 Located in a former swimming pool underneath a Soviet-built football stadium, Bassiani is home to some of the best techno nights happening right now – including monthly queer night Horoom. It’s also a go-to destination if you’re looking to experience Tbilisi’s rave renaissance first-hand. “When it comes to clubs, Bassiani is the one,” explains Irakli Rusadze of fashion label Situationist, which sells a line collaborative merch from the venue’s cloakroom. “It definitely lives up to its reputation as one of the most exciting clubs in the world. I’ve lost so many hours on its dancefloors, and leave a little bit more of my heart there whenever I go,” agrees the label’s assistant creative director Louis Chasserot. Khidi, too, is a much-loved club on Tbilisi’s nightlife scene. “It’s situated on the banks of the river (Mtkvari), in a really beautiful spot,” says music producer and Troublemakerz model Liza Rivs, who is a resident DJ there. “It’s got an incredible energy and great music, and there have been some amazing line-ups recently.” Elsewhere, Cafe Gallery has more of a DIY house party vibe, with a huge disco ball casting glimmering lights across the dancefloor often until 7am. After a night spent raving in Khidi, Bassiani, or Cafe Gallery (and probably one too many shots of chacha or glasses of Georgian wine) it’s likely you’re going to have a lot of recuperating to do. This is where Georgia’s incredible food comes in, with its rich, cheesy Khachapuri (a kind of hollow bread dish filled with melted cheese, butter, and egg yolk) and Khinkali dumplings, which are filled with rich broth and meat or vegetables. Shavi Lomi, or The Black Lion, is a local favourite. “It is an amazing restaurant hidden in a big house, in a non-touristy part of the city. They are serving new and traditional Georgian cuisine cooked with great quality products,” explains Chasserot of what can only be described as a truly hidden gem, filled with candles and furniture that doesn’t match. Designer Tamara Kopaliani also lists the restaurant at the Stamba Hotel, which has everything from a casino and a coffee shop, to a cocktail lounge and a rooftop pool, hoiused in a seriously beautiful former publishing house, as one of her favourite places, while The Kitchen and Keto & Kote rank high on her list when it comes to traditional Georgian food. If the hangover refuses to go, there is another way to cure it: ancient Georgian sulphur baths. Historical bathhouses are located in the Old Town and are easily recognised by the brick dome-shaped structures and the distinctive (and not entirely pleasant) smell of sulphur. A soak, scrub, and traditional massage here will cost you less than £10 and offers a truly authentic Tbilisi beauty experience. When it comes to places to stay in Tbilisi, its hotels are not only beds on which to get your head down: many of the have become cultural hubs in themselves. The uber-luxe Rooms Hotel (but surprisingly not that expensive, depending when you book) in the central Rustaveli area is also home to Chaos Concept Store, which has a spot-on selection of fashion brands, including local designers and the likes of JW Anderson, Ambush, and Anton Belinskiy, as well as a small café. On Fridays, it hosts events popular among the city’s creative crowd. Fabrika Hostel, located in a former Soviet-era sewing factory, combines contemporary sleek interior with details of Georgian design history. Its spacious courtyard is home to a diverse range of bars and independent shops, selling records, plants, and handmade ceramics, with skate store Margo one of its key draws. It’s a great place to hang out during warmer months. Last but not least, a list documenting why you should head to Tbilisi wouldn’t be complete without some reference to its flourishing fashion scene, which is steadily becoming one of the country’s leading cultural exports. Among the designers making waves in both Georgia and on the international fashion stage are Gola Damian, Situationist, Aka Prodashvili, Tamra, and George Keburia, whose tiny sunglasses appeared on the cover of Dazed, as worn by none other than RiRi herself. For local fashion, head to Situationist Showroom and Atelier, Chaos Concept Store or Materiel and Dots stores in the Old Town. For vintage clothing and a plethora of random antiques including Soviet relics (as well as some truly great people watching opportunities), the city’s Dry Bridge flea market, which runs most days, is the place to head, while controversial gem Lilo Plaza rounds off our list. Encapsulating the vibrant, charmingly DIY energy of the city, the most outrageous counterfeit knock-offs can be bought here: including a number of wild mash-up styles. A Balenciaga, Supreme, North Face, and adidas ‘collaborative’ track top you never knew you needed (and probably actually don’t)? You’ll find this, and much more, at the Plaza. Alexa, show us flights to Georgia.